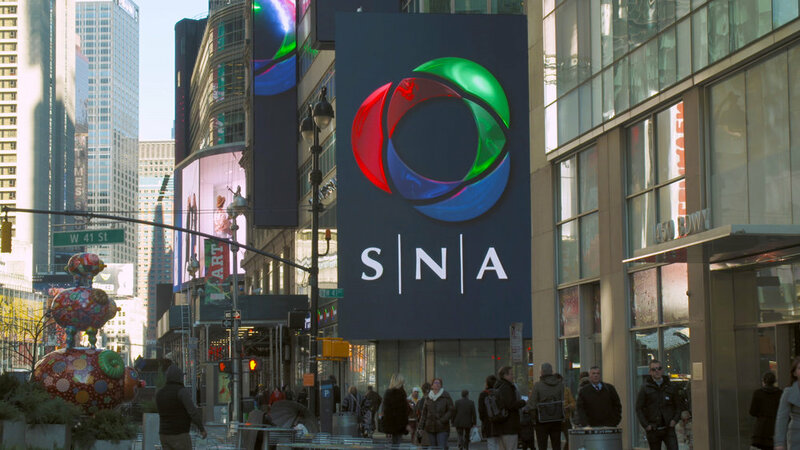 Sansi North America (SNA) installed a unique LED video display system at 1460 Broadway in New York, also known as 8 Times Square. 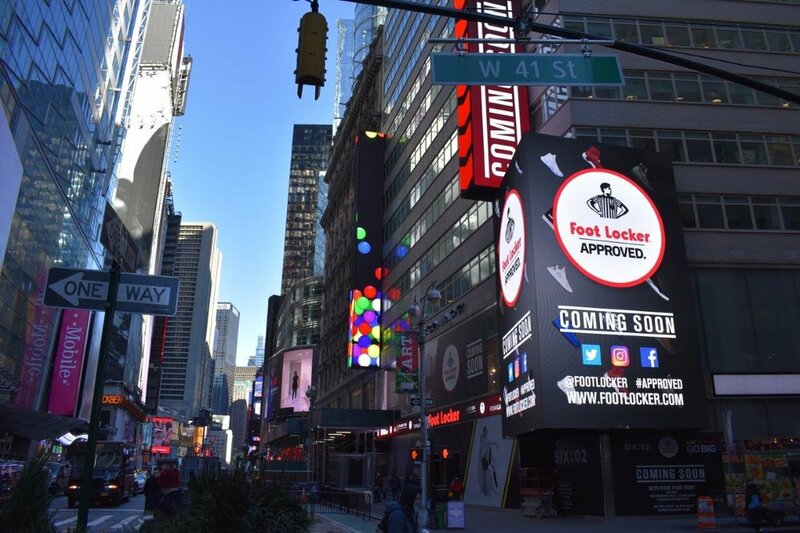 The installation at the new home for Footlocker coincided with another major SNA Times Square spectacular project at 719 7th Avenue. The simultaneous installations bookend the major LED display market, also known as the Crossroads of the World. There are nine individual LED screens that make up the LED spectacular at the site, located at the northeast corner of 41st and Broadway in Midtown Manhattan. All screens with the exception of the S|ThruMedia® faces, are built with a 10 mm pixel pitch. 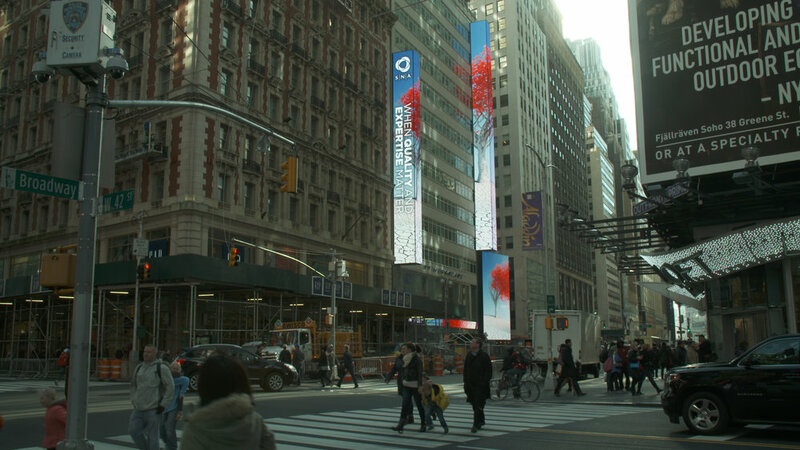 The two largest LED video displays meet at the corner of the intersection, offering lines of sight to both directions on Broadway. Each of the displays is 37'10" high by 22'7" wide. The two displays meet at a tight 79-degree angle. In total, the main corner display includes 1,585,152 pixels (1,152 x 688 each). The 1460 Broadway project features unique LED Blade displays along the Broadway-facing wall of the property. 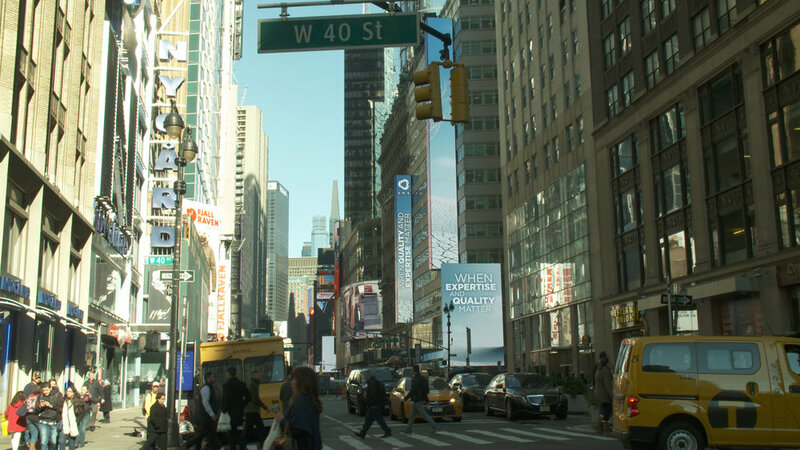 Each of the LED blade systems consist of three faces, one S|Video™ display facing south, one S|Video™ display facing north and one S|ThruMedia® display facing Broadway. The faces of the southern-most blade, extending above the corner display, are 104'9" tall. The S|Video™ faces are 7'4" wide and 10'6" wide, respectively. The S|ThruMedia® display facing Broadway is 5'5" wide and consists of a vertical 16 mm LED strip product spaced 48 mm apart horizontally. The faces of the northern-most blade, closest to the bow-tie, are 73'3" tall. The S|Video™ faces are 7'4" wide. The S|ThruMedia® display facing Broadway is 5'5" wide and consists of a vertical 16 mm LED strip product spaced 48 mm apart horizontally. The LED video display system at 8 Times Square also includes a full video LED ribbon. The display runs along Broadway from the corner display, north, toward the bow-tie. It is approximately 3'0" high and 82'8" long (90 x 2,520 pixels). 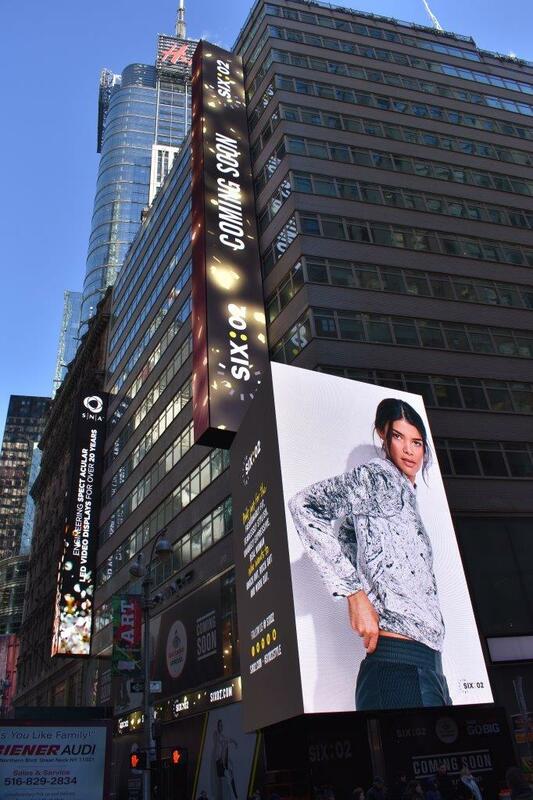 All LED displays at 8 Times Square employ surface-mount device (SMD) technology, where the LEDs in each pixel are packaged together, allowing for crisp, clear imagery and a widened viewing experience.